It took 4 outboard boat motors to get it spinning, and organizers say it breaks the world record. SINCLAIR – Residents in a Maine town believe they’ve created the world’s largest ice carousel on a frozen lake. 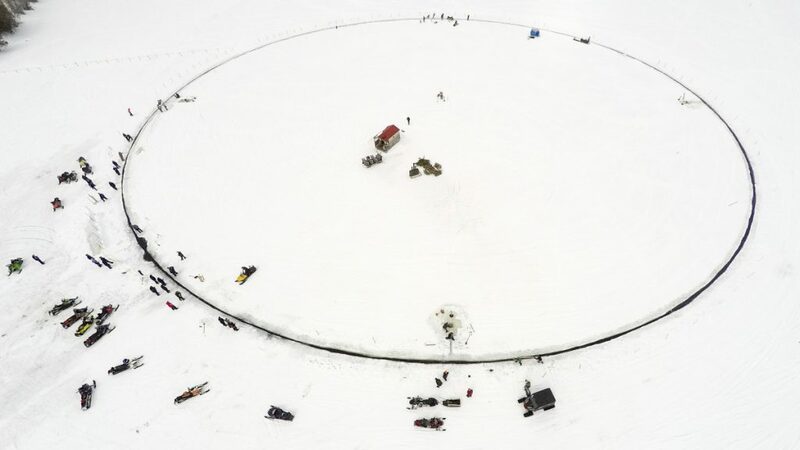 About 100 volunteers cut a circle in the ice that’s 427 feet in diameter, and they used four outboard boat motors to get it rotating on Saturday. It happened in Sinclair, a village in an unorganized territory in Aroostook County. Residents used four outboard boat engines to spin this massive ice carousel in Sinclair. Volunteers say it’s large enough to beat the old record held by a town in Finland. 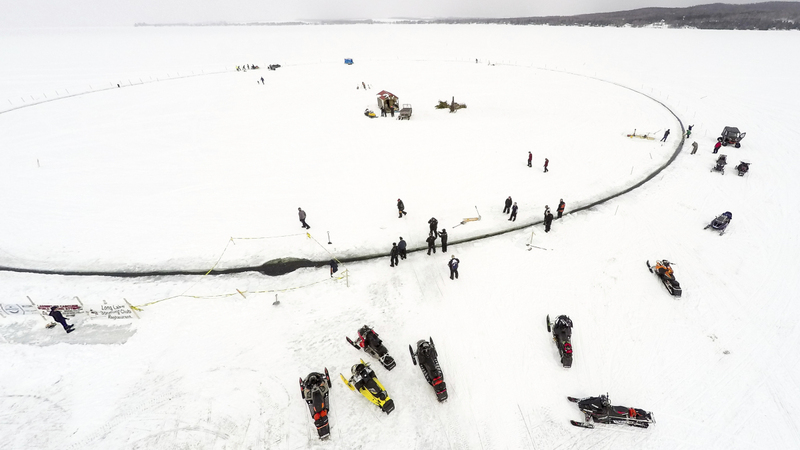 This photo provided by Paul Cyr shows a massive ice carousel that’s 427 feet in diameter on Saturday on a frozen lake in the Aroostook County village of Sinclair. He said the ice carousel is big enough to break the world record held by a town in Finland. A surveying team confirmed the measurements on Saturday.